The Blot Says...: WWE Pop! 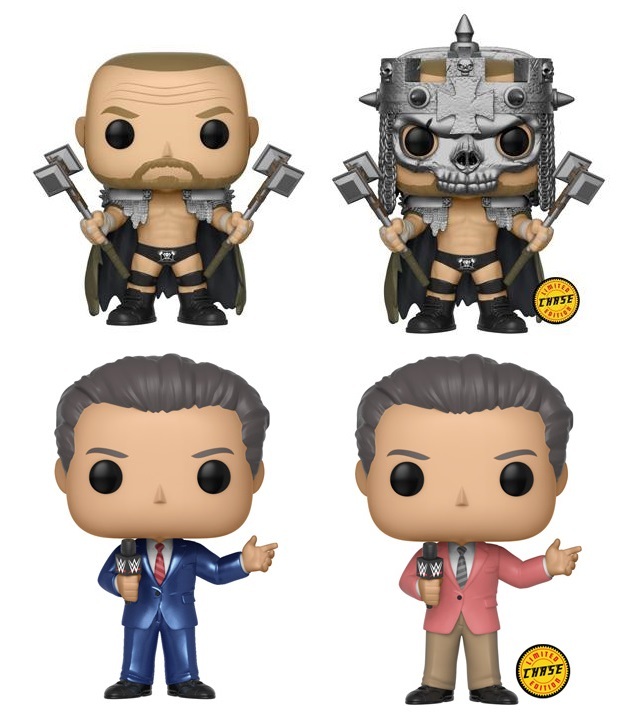 Vinyl Figures Series 10 by Funko with Triple H, Vince McMahon, The Hardy Boyz & More! WWE Pop! 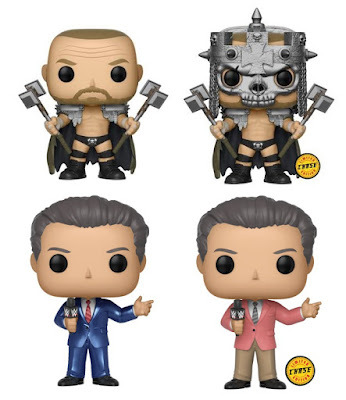 Vinyl Figures Series 10 by Funko with Triple H, Vince McMahon, The Hardy Boyz & More! 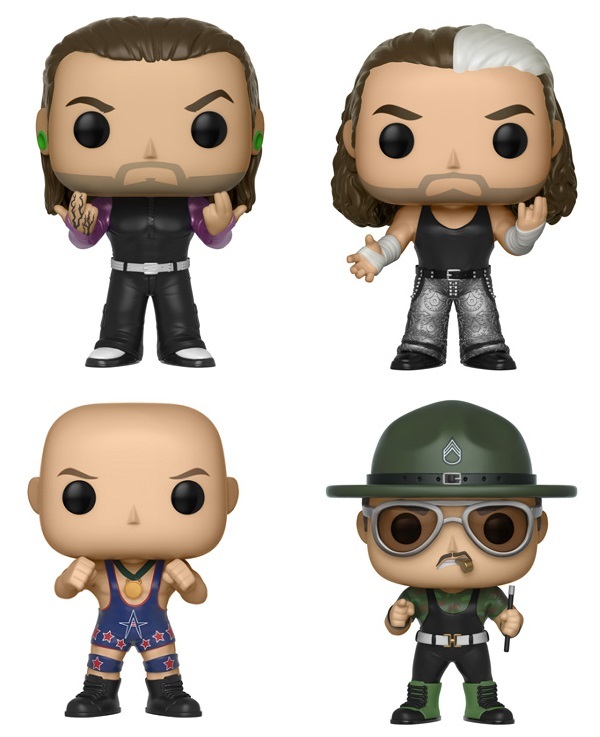 Funko has announced its tenth wave of WWE Pop! vinyl figures just in time for WrestleMania 34 this weekend in New Orleans! This epic new wave includes Patriotic Ring Gear Kurt Angle, Sgt. Slaughter, Skull King Triple H and the owner of the WWE, Vince McMahon! There’s even a killer The Hardy Boyz Pop! 2 Pack featuring Matt and Jeff Hardy. But that’s not all, HHH and Vince McMahon feature 1 in 6 chase variants!!! So good luck hunting those down. Funko is also releasing a couple of retailer exclusives. Asuka and her 1 in 6 chase variant will be sold exclusively at Target, while Asuka in Green Mask will be available exclusively at Walmart. Each WWE Pop! vinyl figure stands 3.75” tall, features one point of articulation and comes packaged in a full color displayable window box. Collectors can pre-order the non-retailer exclusive WWE figures now from Entertainment Earth for $10.99 each or The Hardy Boyz 2 Pack for $19.99 here.